It’s time to hit the deadly Zombie Highway! 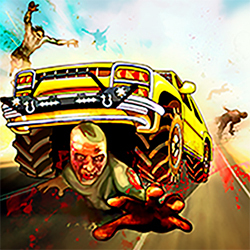 Steer your way through the dangerous road which is taken over by the Zombies. Dash through the zombies or escape from them, collect coins, fuel, health and bonus to keep yourself alive. Keep upgrading your car and health to increase the destruction level and your level of sustainability.